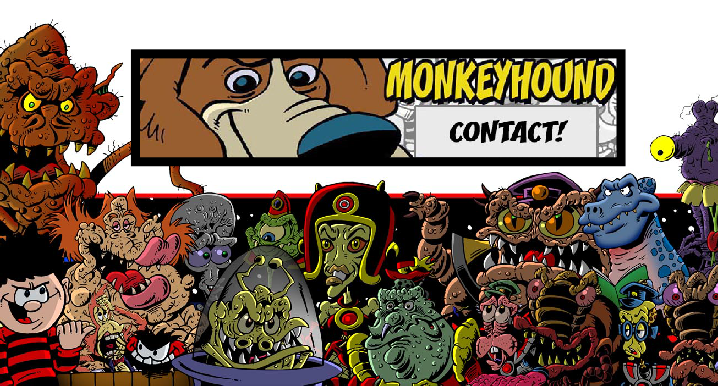 In the late 1980's and early 1990's Monkeyhound began by providing humour comic strips for many of the adult humour magazines that were on lots of the newsstands at the time. That was followed by working on variousDC Thomson publications, including The Beano. Recently, we’ve produced a number of humour books which are available on Amazon, with plans to make digital versions available too. 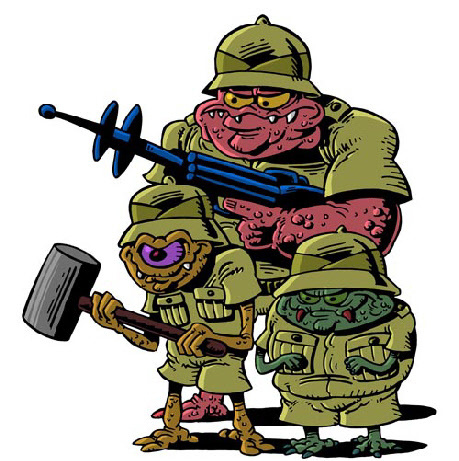 We have also become part of the ACES WEEKLY team, where we provide the adventures of Drell’s Marauders for what is an on-line digital comic, created by David Lloyd of V for Vendetta fame. 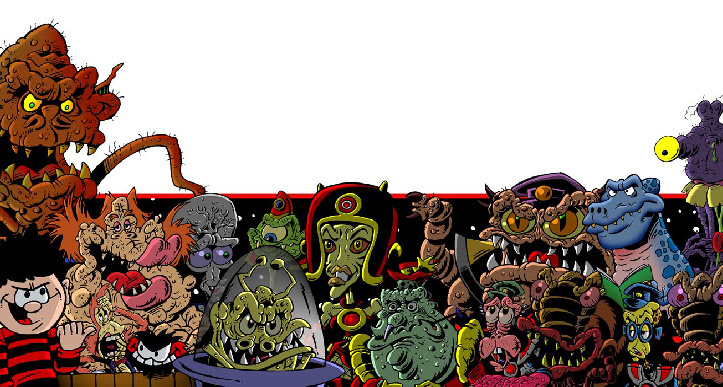 Animation and Film is also a recent addition to Monkeyhound’s output. On this web site you will find examples of not only our artwork, but also our work on film, which includes the award winning Fish and Chippie. We are available for commissions, be it cartoons, caricatures, comics or animation.